For Monday morning of Labor Day weekend, those that can't get enough of the canyon country can take this easy, scenic trip to the top of Hurrah Pass. From the top a vista unfolds of the Colorado River basin below, rimmed by the steep rock walls of the Island in the Sky on the other side of the river. Behind, the impressive Kane Creek canyon stretches in two directions. A perfect way to end the Labor Day Campout. The views from Hurrah Pass itself are awesome. 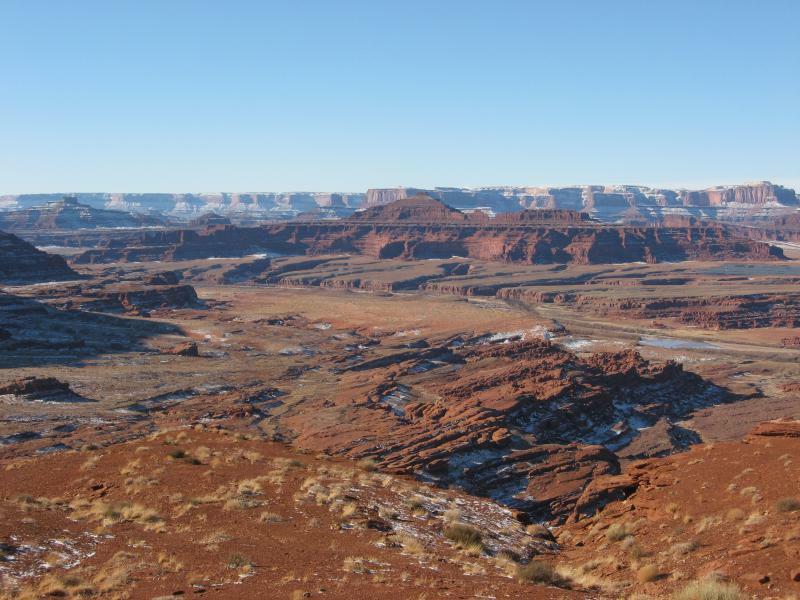 Looking into the vast Colorado River basin ahead or back toward the Kane Creek drainage, either direction is a winner. 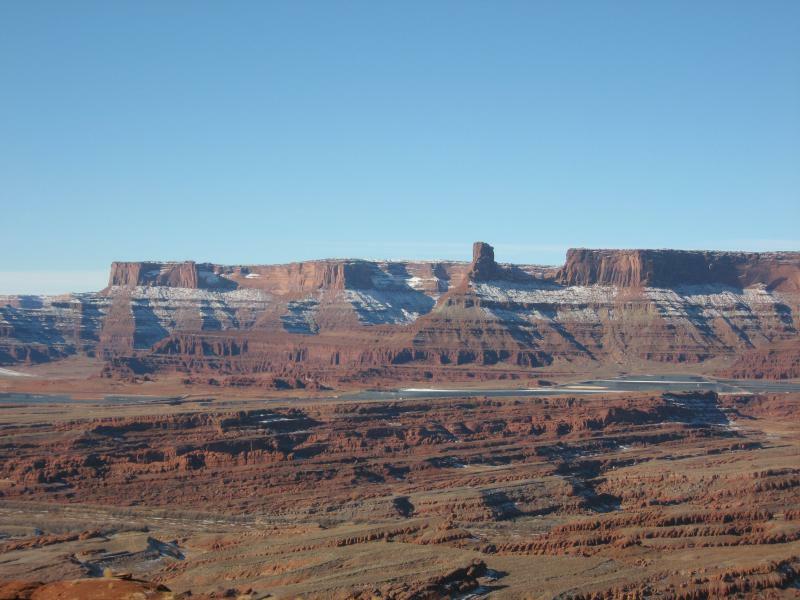 Distant Dead Horse Point sits atop the towering cliffs across the river. The road begins as gravel but becomes mostly red dirt and sand with the occassional appearance of sandstone bedrock.